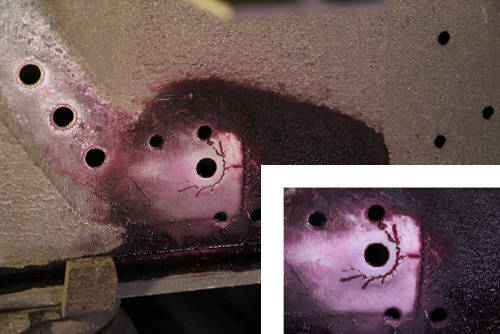 The 2nd step in our Weicon Crack Testing Dye Penetrant Flaw Identification System. 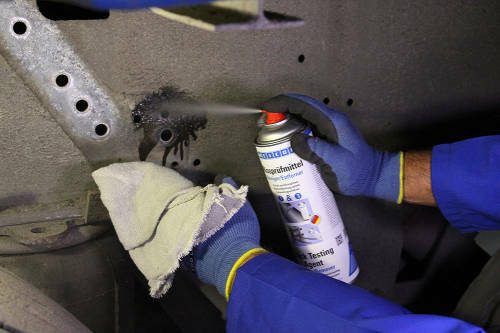 Spray-on, dye penetrant for finding flaws and testing the integrity of materials. Excellent penetration properties allow it to identify even the tiniest flaws and cracks. Our Weicon Crack Testing Agent – Penetrant Spray is the second step in the complete Crack Testing Dye Penetrant Flaw Identification Kit. 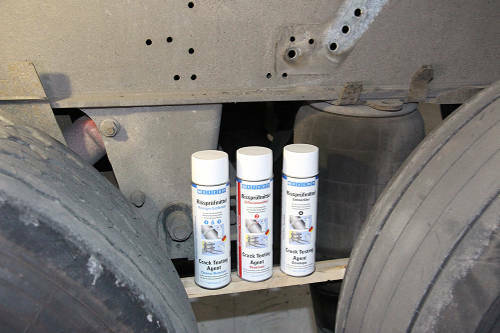 This easy to use technical spray is applied after the surfaces have been cleaned. It has excellent penetrating properties which enables it to help identify even the smallest cracks, fissures and faults before they become bigger problems. Manufactured by Weicon in Germany, this penetrating dye is used around the world in critical applications. It can be used on a variety of different surfaces including metal, welds, ceramic, glass and many types of plastic. Please note; it is strongly suggested that a test is conducted before use on sensitive plastic types. Our Weicon Penetrant Spray is a red coloured diffusion agent that can be washed off with solvent so as to not permanently mark the surface. Based on your feedback, we are pleased to offer this sensitive, high-quality penetrating dye both individually and as part of our Weicon Crack Testing Agent kit. Each of the other two sprays are also available individually via the links below.